Learning how to sing vibrato correctly is quite a harsh lesson for most singers. However, it is one of the powerful skills a successful singer must have to make the songs they sang more impressive, emotional and attractive. 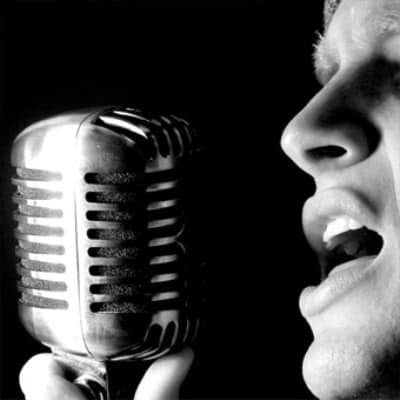 Many people believe that singing in vibrato is a challenging thing to do that often entails a lot of time and effort. But even how difficult it is to learn vibrato, singers realize that it is a natural ability of the voice. Vibrato is a powerful and magnificent singing technique that is commonly used by famous opera singers. It is also believed by many that vibrato is a singing technique of extending the voice artificially. What Is Vibrato in Vocal? How to Develop A Good Natural Vibrato in Singing? Voice vibrato as the name suggests is when the voice vibrates to give more expression to the song. This effect is produced in the voice when singing and the same effect is given by a pulsation in the pitch in an instrument. The “depth of vibrato” is characterized by the amount of pitch variation created and the “speed of vibrato” is characterized by the speed with which the pitch is varied. Vocal vibrato is actually produced by oscillation of the vocal chords from an open pharynx/throat with good support from the muscles at the throat and firm control in the opening and closing of your vocal chords. If done properly vibrato can be very pleasing to the ear and adds loads of expression and dynamics to the music. Vocal vibrato is a mastery of voice which has to be perfected well before using it while singing. Unfortunately there are several singers who try to produce this effect without mastering this special skill. When this happens, the oscillation is sometimes too slow and this sound is called a “wobble” and if it is too fast it is called a “tremolo” and both are awful to hear. While learning how to sing vibrato, singers who sing producing a wide and slow vibrato are actually doing a wobble. This happens due to lack of focus on the singing and lack of breath control and breath pressure. Wobble can sometimes be caused due to lack of correct adduction of vocal chords. Tremolo is caused by over pressure at the root of the tongue. This is due to a tendency to speed up and finish singing, breathlessness and lack of voice control. Tremolo is even recognized as a sort of voice trembling due to lack of confidence levels or improper physical health. Tremolo can happen to singers who alcohol and drug abusers. Sometimes some singers produce uneven vibrato. The vocal chords may move apart and vibrate unnaturally. This happens when there is a change in flow of even air pressure through your system. This can be rectified by regular practice and deep breathing exercise to clear you passage and strengthen the voice support muscles. Some singers can produce a vibrato from their diaphragm aptly named as diaphragmatic vibrato. This is when the diaphragm pulsates during a sustained note to give a fake vibrato sound. Some theatrical singers develop this habit when they are unable to master a correct vibrato in their voice and they want to get away with some sort of a vibrato sound. This is a habit which cannot be rectified easily since the abdominal muscles memorize the pulsating sensation and develop muscle memory. However even this can be corrected over a period of time with determination. This natural vibrato is produced when the abdominal muscles to keep firm support in order to produce the natural vibrato through your diaphragm have activated the pulsations. The wave-like motion in your vocal chords occurs when pulsations activated which will produce a minor fluctuation in your pitch and volume. A good vibrato can be very pleasing to the ears. A good vibrato is when the singing voice is vibrating at an even pleasant rate. Learning how to sing vibrato can be developed with proper vocal exercises, regular practice and when the singer achieves proper balance in support muscles. The three “D” of music namely determination, diligence and drive will help you achieve the vibrato power you ever dream of. 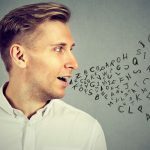 These basic skills can be learned through constant practice such as proper breathing when you’re rendering a song, and by using your diaphragm to support the tone. 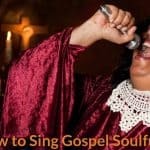 Since these basic skills are important in every foundation of vocal production, you should make-up your mind to attend training lessons and practice what you have learned consistently. 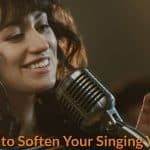 When you have taken appropriate steps to develop these basic skills thoroughly, and you have a clear understanding that they are easy to work with, you’ll start to feel confident in creating vibrato in singing naturally. If you have poor singing habits, it’s better for you to discard them first before you attempt to learn and develop vibrato. You may not be aware of it, but vibrato is not limited only for classical singers such as Luciano Pavarotti, but also with the likes of David Bowie. Vibrato is known to be the process of alternating your pitch of a certain tone to make it appear to be regular and smooth. If you’re interested in learning vibrato, you can refer to the following techniques in attaining it. The very reason why a professional singer has a great sound of vibrato is due to the clarity and precision of his vibration which doesn’t show any irregularity in timing and pitch. You will notice that opera and classical singers maintain a firm and straight posture in their manner of singing. You must breathe correctly when singing, and by standing in a straight position, you can facilitate breathing correctly. There are stage performers who utilize the muscles of their throat in singing, but this won’t result in any vibrato effect. Perfect singing depends on how you breathe while singing. And you should undergo a breathing exercise before you start your practice of singing. Breathing technique involves taking oxygen deep into your lungs, and exhale slowly in a steady manner just like when you’re whistling. After breathing deeply, the next step in creating good vibrato effect is relaxing your body that includes your neck, shoulders, throat, head, etc. You can do this by having some stretching exercises before you proceed with your stage performance. You’ll be surprised that one day, you can already create a beautiful tone which is being enhanced by your natural vibrato. So, you really have to make up your mind to practice and master vibrato voice in singing. Below are some of the useful vibrato singing exercises that I find extremely helpful for you. In singing, one important aspect that you have to consider is vibrato in singing. 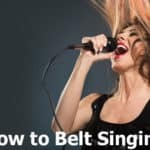 Most of well-known singers are aware of the knowledge in singing vibrato, and they also know that it requires a lot of practice, concentration and guidance. 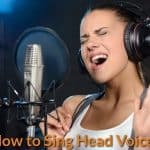 It may be easy for you to sing when you’re taking shower or inside your room, but when you want to shift to the higher level in singing, you need to develop various abilities in singing that can capture the attention of the audience. These important elements in singing have to be developed and practiced for a long time especially the power of vibrato which is somewhat tricky. Even today, there’s still an existing confusion on how vibrato contributes in singing, and how it is created. When you’re singing in a very relaxed manner without any pressure to reach higher notes, that’s where vibrato comes in. Vibrato is defined as the natural rendition of your voice or forced tone fluctuation. But is the throat or stomach involved in the process of vibrato in singing? Your breathing muscles are found to be responsible in creating vibrato. You can also create a vibrato forcefully with the use of your diaphragm muscles, and you can also possibly manipulate other areas of your voice organ to create it forcefully. However in general, it is more advisable to create vibrato with less effort or nothing at all. One good example of this is the way Luciano Pavarotti and David Bowie render their song which is natural and possessing a highly-variable effect. If you have a free, focused tone, you can make a minor fluctuation in your pitch naturally which can intensity or warm your sound. But this doesn’t mean that you should deprive yourself of not learning the conventional way of using and controlling vibrato in singing as desired. It’s the natural way of developing an effective training in singing vibrato which is of primary importance to a singer. But how can a singer acquire the free-will and focused tone that results to having a natural vibrato if one doesn’t concentrate in creating vibrato?